Get your mind in shape with Sophrology. Sophrology will increase your mental wellness and manage your stress so that you can live a more positive contented life. There are two ways to deal with stress and anxiety. Sophrology is a discipline that boosts mental strength while consciously relaxing the body. This relaxation therapy blends mindfulness, breathing techniques, gentle movement and visualization. It is used as a stress management tool increasing inner calm and mental satisfaction as the mind reaches a deep sense of relaxation. This feeling of calm can last hours even weeks afterwards. The Mind never gets a break… we wonder why we get physically ill from mental exhaustion. Long term mental exhaustion has been a huge factor in brain degenerative diseases such as Alzheimer’s and Parkinson’s. Sophrology is a method that works to calm the mind and rejuvenate it along with the body. Regular practice of Sophrology has proven to slow down symptoms of those with early signs of Parkinson’s disease. Sophrology has given hope to people suffering from anxiety & stress, without use of medication. By releasing physical and mental tension, the body can relax and recuperate from stress caused by worry. It is practiced by ordinary every people looking to have an extra tool to deal with life’s challenges. We are living today in a society where we are expected to be able to cope with life’s challenges. Sophrology will help you use your inner strength to deal with life’s challenges: be it stress, anxiety, fear, sadness, anger, grief, depression, PTSD, emotional pain and even boredom. Sophrology is first suggested by French and Swiss doctors as a method to deal with depression, manage stress and anxiety, to patients without use of medication. It is recommended by oncologists to practice prior to undergoing cancer treatment. It helps relax the body in order for it to be at the best state to responding to treatment, and for healing purposes. Sophrology is an excellent relaxation method to use prior to any surgery. Click here to read how people have applied Sophrology to their daily lives. There is a quiet revolution happening right now as people are talking more about mental awareness. We all know the benefits of physical exercise, so why don't we know more about what we can do for our mental health? Taking the first steps to reducing emotional pain, battling depression, managing your stress, or just improving your state of mind by practicing sophrology, you will help boost confidence and bring a new joy to your life. Give yourself the gift of mental wellbeing and mental awareness. To read more about benefits click here. Sophrology has been around since 1960. It was created initially by Professor Alfonso Caycedo, to help war veterans with PTSD, and people suffering from depression to reach optimal health and happiness without use of drugs. For more on the history of sophrology, click here. Our conscious awareness is only 5% but there is 95% on the side-lines always participating! Sophrology is a tool that will increase your mental awareness. It will help you deal with moments of stress or urgency so that you can act in a calm manner instead of reacting in a panic. Building our mental awareness makes us sharper, more mindful, more centered and more peaceful. WHERE CAN SOPHROLOGY BE APPLIED? The Sophro Girls, Big Sis and Little Sis describe what is Sophrology and why everyone should practice it. To see more from them, check out the Blog Page. The name Sophrology comes from the Greek words SOS, PHREN, LOGOS that means the study of harmony and consciousness. Enjoy a moment of harmony at the Zen Corner. 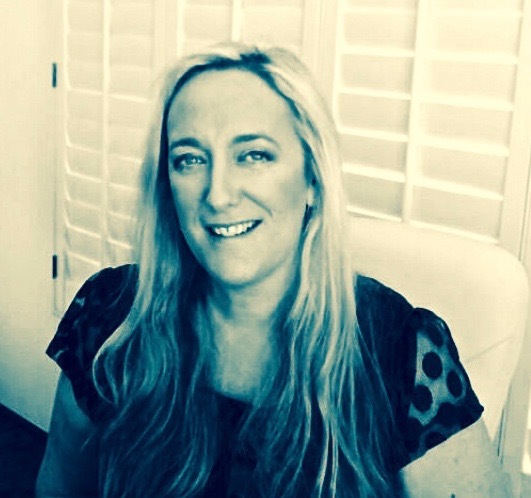 Niamh Lyons is the Founder of American Sophrology LLC and is one of the first Certified Sophrologists working in the United States. She created American Sophrology to create a simpler style of Sophrology for people in the USA. It has been developed from the Caycedian style of sophrology in order to make it easier to use. Read her story by clicking here.